September is Childhood Cancer Awareness Month in the UK. A subject very close to my heart as I watched my beloved cousin be diagnosed on his second birthday and again as a teenager before passing away at the age of seventeen. George was 14 months old when his mum died five days before her 30th birthday. Then on his second birthday he was diagnosed with rhabdomyosarcoma, a childhood cancer that develops in bone, muscle or cartilage. George had treatment and went into remission. But the cancer returned and he was given less than 5 per cent chance of surviving. Somehow, this amazing little boy managed to defy all the odds and for a while the disease went away. 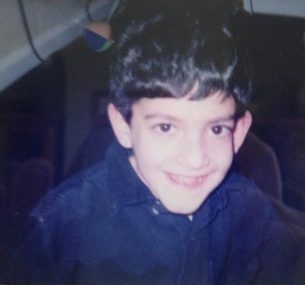 There were many scares throughout the years but George grew to be a healthy, strong, fit and lovable young boy. A case of skin cancer was found and treated when he was 15 years old. Then came the bombshell that changed our world forever. George was diagnosed with osteosarcoma of the jaw when he was 15 years old. George died on 25th April 2011 on my 22nd birthday and just three months before his 18th birthday. He was a happy, vibrant, loving boy who filled our family with so much love and joy despite everything the cancer brought with it. His illness, his life and his death has had a huge impact on me and the way I live my own life. In those days where the grief hits me it is the voluntary work with charities like Children with Cancer UK that push me through the anger and the sadness. By helping others I am keeping his memory alive and this is very important to me. The cancers seen in children are usually very different to those seen in adults and “childhood” refers to any child aged between birth and fourteen years old. Childhood cancer is quite rare and makes up 5% of all cancers. Around 1,600 children in the UK are diagnosed with cancer every year, which roughly works out at thirty one children per week. Around one in every five hundred children in the UK will be diagnosed with cancer. The UK’s childhood cancer rates are amongst the lowest in Europe, with Northern Europe having the highest incidence rate. Leukeamia is the most common childhood cancer. Two thirds of all childhood cancers are leukeamia, brain and CNS tumours and lymphomas. Nearly all children diagnosed with retinoblastoma are cured. Survival rates for Hepatoblastoma have doubled since the 1960’s. Around six out of ten children diagnosed with neuroblastoma are cured. Eight out of ten children with kidney cancer survive the disease. Rhabdomyosarcoma survival rates have doubled since the 1970’s. Cancer is the UK’s leading cause of death (from disease) in children aged up to fourteen. A fifth of all childhood deaths are down to cancer. Brain and CNS tumours are the most common fatal type of childhood cancer. Around two hundred and fifty children die from cancer every year in the UK. Childhood cancer death rates have halved since the 1960’s. Having watched a loved one fight childhood cancer, my heart breaks for every family going through the same thing and I’m sending lots of love to all the incredible children out there fighting cancer. There has been so much progress made over the years but there is much more to be done. Research is vital and scientists are making huge strides. However, as more and more children survive cancer we need to ensure we are working to make treatments kinder, with less long term side effects to ensure their quality of life is not hindered as they grow up. 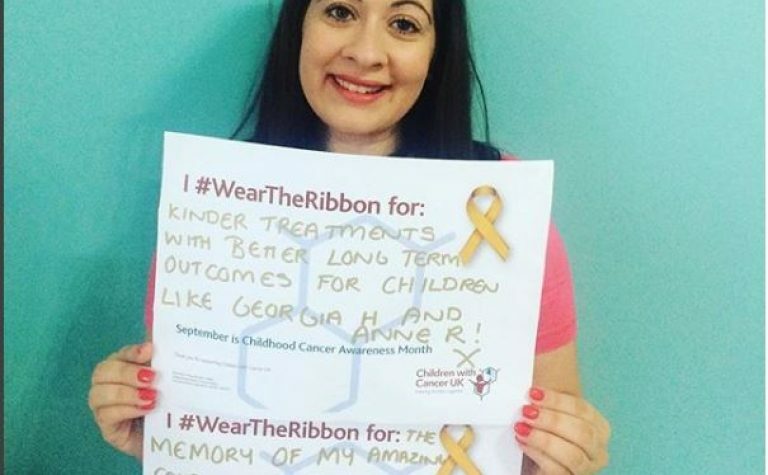 We need to ensure more research is carried out to find these kinder treatments and we also need more research into the causes of childhood cancer so we can start research ways to prevent it occurring in the first place. Charities like Children with Cancer UK are so vital to this and are doing such an amazing job. We can see from the stats mentioned above that progress is being made and this should spur us on to continue to support these charities so that even more can be done and even more children can survive the disease and go on to live full lives. I know that with every medical breakthrough that is made I think of my cousin with great pride that his name is being associated with helping other children survive the disease that killed him and I know he would absolutely love that.